Given the recent news about Cuesta College being required to “show cause” as to why it should remain an accredited institution, the Cuesta College faculty wish to help our local community better understand what has brought about this situation, and also to suggest ways in which the community can become involved. learning experiences and the course credits they earn is not in question, and never has been. The work that the Cuesta College faculty do in the classroom and in student support services, has been, and continues to be, of the highest quality. All faculty and staff excel in ensuring that the college effectively serves our students. The accreditation issues the college is currently facing have nothing to do with the quality of the education and services students receive at Cuesta. The College’s sanctions, from the initial “warning” to the most recent “show cause” status, have focused on deficiencies in how the college has been administered. Because the continued success of our students is of paramount importance to us, the faculty at Cuesta College share the local community’s shock and disappointment that Cuesta College is in danger of losing its accreditation. In fact, what is most disconcerting to the faculty is that the shortcomings cited by the accrediting commission are on point—there are serious problems in the way the college conducts its administrative business, and these problems need to be solved. Faculty involvement in the accreditation process since 2009 has helped the college achieve resolution of six of the original nine recommendations by the Accrediting Commission for Community and Junior Colleges (ACCJC). We are committed to working with the administration in resolving the remaining three recommendations from ACCJC. The faculty and staff of Cuesta College know that the local community values our college as highly as we do. We are asking for your assistance. Join us in urging the Cuesta College Board of Trustees and administration to take quick and effective action to address all the issues that have brought sanctions against the College. Attend a Board of Trustees meeting and express your concerns. Call or write to the Board members and administrators and ask them what, exactly, they are doing to resolve these issues. Request that specific, timely and frequent accreditation progress reports be provided to the public. All of us working together can ensure Cuesta’s future and restore its reputation as one of the premier community colleges in the State of California. A copy of the recommendations from the Accrediting Commission for Community and Junior Colleges can be found on the Cuesta College website. Contact the Board of Trustees. 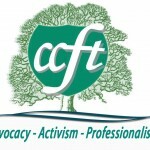 The Cuesta College Federation of Teachers, Executive Board includes: Allison Merzon, president; Peet Cocke, vice-president; Mark Tomes, secretary / treasurer, Council of Representatives; Victor Krulikowski, grievance officer; Debra Stakes, COPE chair; Michele McAustin, Council of Representatives co-chair; Tony Rector-Cavagnaro, Council of Representatives co-chair; Kathryn Logan, part-time faculty committee chair and Marilyne Cleeves, communications chair. Considering the number of faculty and staff employed at Cuesta, this simply is not believable, even to the college’s most ardent supporters. Once again, the cause of most problems facing our schools and public services can be found in Administration and Management. easymoney, I’m sure that there is much truth in what you say. Administration and Management ARE responsible for how the college is run. But, as a Libertarian, I really wonder whether the whole business model is flawed to start with. Why should government run the college? Why can’t the private sector do it? Does government run things better than the private sector? Why should government compete with the private sector in the education market? Isn’t that unfair competition? Are government run colleges immune to economic forces? Evidently not, as this college can’t seem to get its house in order and may have to shut down. Is that the same as going out of business in the private sector? There are many questions that a lot of us would rather not face in this affair, but not facing them is not going to make them go away.